We need volunteers to help with these activites! Please let a leader know if you can help out in any way. Last Tuesday=Pack Committee Meeting 5:30pm-6:30pm (McMahon Hall)--Everyone is invited to attend & participate. This meeting is held BEFORE the den meetings. 10/30: Pack Halloween Party 6:30pm @ SECC--Everyone wears costumes! Costume contest & games & fun! 12/4: December Pack meeting 6:30pm--Rain Gutter Regatta (race)! Bring your boats! 1/18: "Drive-in" Movie night 7pm @ SECC--bring the car you made to sit in & watch a movie. Lock-in/sleepover too! 2/3: Scout Sunday 10:30am (arrive by 10:15am) @ SECC--wear your uniform! 4/19-21: Palisades Spring Cub Campout @ TBD. 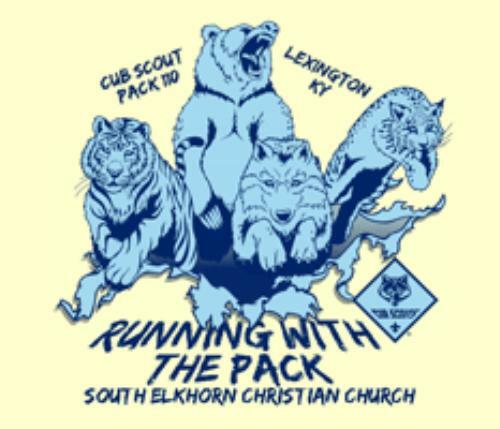 6/21: Free Friday Flicks @ Jacobson Park--counts towards Pack Summertime activity--wear your Pack 110 tee shirts and try to sit together!